Thomas Elstner is the managing partner of Zooagency GmbH. Previously, Thomas was the CEO of Format Punkt E in Cologne, an award winning television production company he founded in 2000. Format Punkt E produces popular shows for top European networks such as ZDF and was awarded the prestigious Adolf Grimme Prize. Before launching Punkt E Elstner was the head of AVEC's (Audio Visual Entertainment Company) feature and format development department. 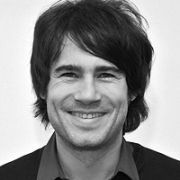 Elstner has also worked as Creative Consultant for BBDO Düsseldorf, a producer for Televous TV Productions in Hamburg and developed new TV formats and pilot productions for RTL in Cologne.